Black Spruce essential oil is commonly used to treat respiratory problems such as catarrhal coughs, bronchitis and asthma. It also has an anti-inflammatory, analgesic action that is beneficial for sore, stiff muscles and painful joints. Black Spruce (Picea mariana) essential oil is steam distilled from the twigs and needles of the Black Spruce Tree – a coniferous evergreen which is native to Canada and the northeast of the United States. It is a small, slow-growing tree with purple cones that turn brown to grey at maturity. The tree is also known as the ‘Bog or Swamp Spruce’ as it is typically found in wet, swampy areas. 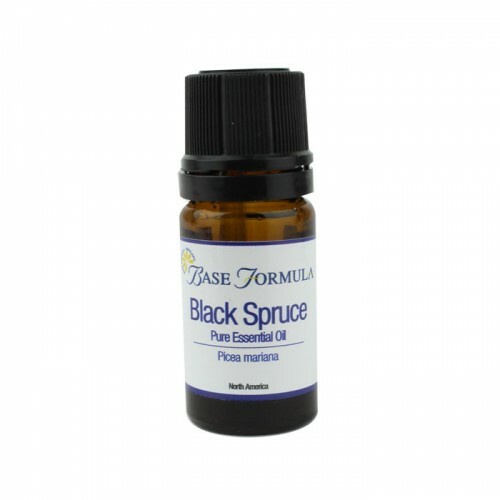 Black Spruce essential oil has a fresh balsamic, slightly sweet coniferous aroma with fruity-resinous undertones. It is sweeter and softer than most other evergreen oils. Historically, Black Spruce was used as a remedy for catarrh, coughs, sore throats, shortness of breath, indigestion, rheumatism, arthritis, boils, minor wounds and abrasions. Native Americans also used to make Spruce Beer to protect themselves against scurvy – boiling the twigs and leaves with maple syrup to produce a warm, all-year-round drink. It is even thought that Captain Cook drank Spruce Beer on one of his voyages. Today Black Spruce essential oil is commonly used to treat respiratory problems such as catarrhal coughs, bronchitis and asthma. It also has an anti-inflammatory, analgesic action that is beneficial for sore, stiff muscles and painful joints. 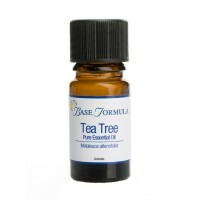 Generally considered non-toxic, non-irritating and non-sensitizing. Use with caution on sensitive skin. Do not use during pregnancy. Black Spruce has antiseptic, antibacterial, anti-inflammatory and astringent properties that can be beneficial in the treatment of acne. 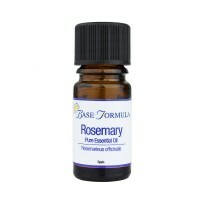 It is also believed to be helpful for dry eczema. The oil has a calming, sedating, grounding yet uplifting effect, and can help to centre and focus the mind. It is also thought to help counteract negativity, poor self-confidence, low morale and melancholy. Black Spruce has a high monoterpene and ester content which gives it a strong anti-inflammatory and analgesic action, making it beneficial for sore, stiff joints and muscles, and conditions such as arthritis, rheumatism and sciatica. Its antiseptic and expectorant properties are ideal for respiratory complaints including coughs, bronchitis and asthma – especially when used for inhalation or in a chest rub. According to Dr Kurt Schnaubelt (Author of Advanced Aromatherapy: The Science of Essential Oil Therapy) Black Spruce is also recommended for strengthening and supporting the adrenal glands during periods of stress and fatigue. Eucalyptus, Pine, Tea Tree, Rosemary, Frankincense, Cedarwood, Benzoin and Lavender plus citrus oils such as Lemon and Bergamot.